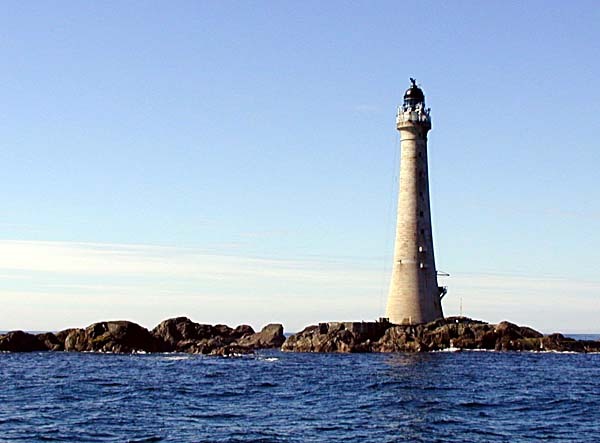 Skerryvore is a remote reef found 10 miles south of the island of Tiree. The reef's highest point is 3 metres above sea level. The lighthouse was built in 1844 by Alan Stevenson on this rock outcrop and it stands 48m or 156ft tall, making it the tallest lighthouse in the UK. It was automated in 1994.